Loyalty programs are a great way to boost customer retention at cafés and coffee shops. A thoughtful and well-integrated loyalty program can encourage customers to satisfy their caffeine or pastry cravings more often to earn discounts or rewards. According to Marketing Land, a loyalty program serves two functions: “to incentivize new clients to stick around after purchasing your goods and services, and to ensure that existing loyal clients still feel as if they are valued by your operation.” With high competition between coffee vendors, a seamless and personalized loyalty program might make your business stand out from the crowd. Creating a sense of reciprocity between your business and a customer is easier and less expensive it might seem, but will dramatically increase customer retention. According to a study from Bond, 81% of consumers agree that loyalty programs make them more likely to continue doing business with a brand. “Embrace the art of the frugal wow by understanding that reciprocity is built even with small gestures. In fact, psychologist Norbert Schwarz found that as little as 10 cents can create reciprocity between two individuals (it really is the thought that counts! ),” says HelpScout. A tiered loyalty program is an effective way to prove a business is “giving back” to its loyal customers, according to HubSpot. The Virgin Atlantic Flying Club, for example, is excelling with this customer retention tactic. Members join at the Club Red tier, which includes miles on flights and discounts on other travel-related expenses. If customers prove their brand loyalty, Virgin Atlantic will move them up to the Club Silver or Club Gold tiers, which offer even more points, discounts and access to airport clubhouses. Customers are aware of higher-tier benefits from the onset, and are therefore more likely to choose flying with Virgin Atlantic to eventually reach Club Gold. Customer data can be a great asset for a personalized and thoughtful loyalty program. Coffee shops can use the data collected by a POS system to craft unique incentive programs with discounts or rewards on what their customers buy most frequently. 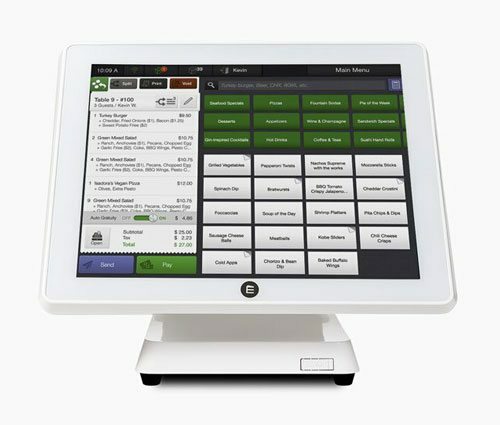 In this case study, Los Gatos Coffee Roasting Company shows how their café POS system helps them aggregate data to better influence staffing and business decisions. With access to sales and data reports, they were able to refine their operation on a day-to-day basis and increase sales. Data from a coffee shop POS could also be used to create a specialized loyalty program. Data insights such as popular menu items open up the opportunity for targeted loyalty programs. Research from Cap Gemini shows that only 11 percent of loyalty programs offer personalized rewards based on a customer’s purchase history, which means utilizing data could help a coffee shop loyalty program stand out from the crowd. Incentive programs that are particularly effective make it easy to redeem points or rewards. Two ways to ease customers into using a café loyalty program are showing customers how to earn points and integrating rewards into their mobile device. Consumer researchers Joseph Nunes and Xavier Dreze found that 34% of participants completed a loyalty card that needed 10 stamps to get a free wash with two automatically stamped when they joined, while only 19 percent completed a card that needed 8 stamps for a free wash that had no initial stamps, even though both required customers to stamp 8 times to redeem the final reward. This research shows that participants are more likely to continue with a program that has already been started for them. 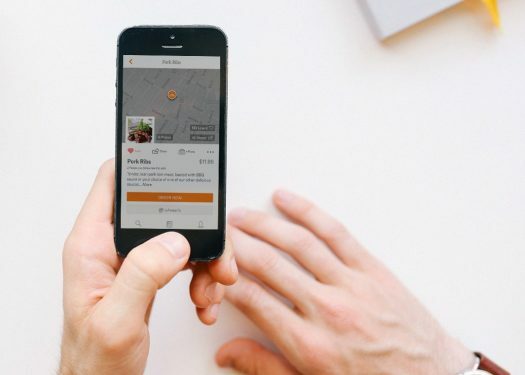 Ease of accessibility is also important: If a loyalty program is integrated into their experience at a cafe, such as through a mobile app, research shows it’s almost twice as likely they’ll actually use it. A Forrester study found that 57% of mobile users believe loyalty programs and points are the top feature in a mobile wallet. A personalized, thoughtful and user-friendly incentive program will improve the customer experience, and exceptionally happy customers are more likely to tell family, friends and colleagues about a business. Not only does the power of customer advocacy save marketing costs, but it can also have a serious impact on a café’s bottom line. As a study from Lee Resource Inc found, the cost to keep an existing customer is 5 times less than the cost to attract a new customer, and a Bain and Co. study determined that even as small as a 5% increase in customer retention can increase a company’ profitability by 75%. With improving mobile technology and data access, the future of loyalty programs could mean a personalized experience for every customer. Businesses will then have to differentiate by offering a more personalized, intuitive, and rewarding loyalty experience than their competitors. What unique tactics do you use in your loyalty program to stand out from the competition?